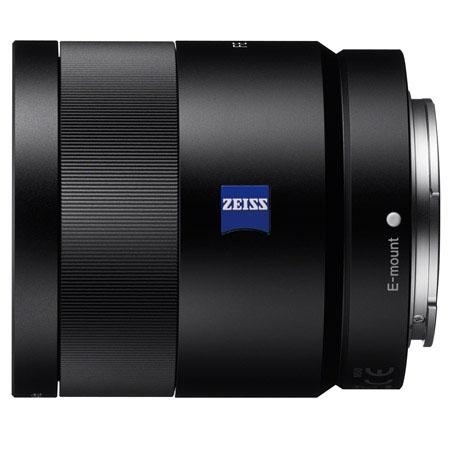 Renowned Carl Zeiss contrast and resolution brings out the best in a7 and a7R full frame E-mount bodies. The T* coating works with an innovative optical design to suppress internal reflections, for sublime contrast from highlights to deep blacks. In keeping with the Sonnar concept a large F1.8 maximum aperture can produce beautiful full-frame background bokeh, but you also have the option of stopping down for extended depth-of-field. A bright lens like this is also an advantage when shooting indoors or outdoors in low light. Linear motor driven internal focusing is smooth and quiet, and a dust and moisture resistant design ensures consistently reliable performance. 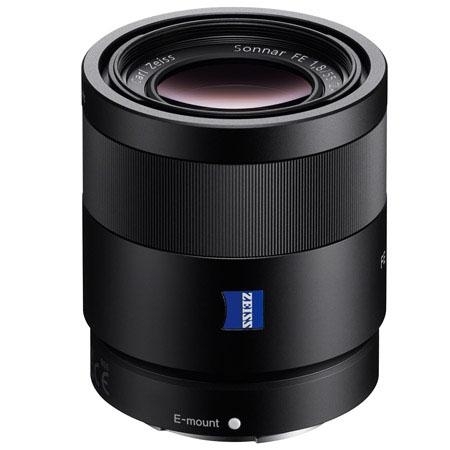 Get the extra speed and brightness of a large F1.8 maximum aperture in a conveniently compact design, plus high performance 55mm full frame format. This Carl Zeiss Sonnar T* mid-range zoom lens provides the perfect pair for Alpha a7 Series full frame cameras. Delivering beautiful rendering as well as exceptional sharpness, this prime lens is an obvious choice for portraiture, low-light and everyday photographic assignments. Its extra-bright F1.8 maximum aperture allows exceptional bokeh. background defocus, aided by the 9-blade circular aperture. Like all E-mount full-frame lenses, dust and moisture resistance makes the SEL55F18Z a dependable outdoor partner. The unique T* surface coating works with Carl Zeiss. advanced optical design, suppressing internal reflections within the lens body. This guarantees sublime contrast with sparkling highlights and deep blacks - a signature of this premium lens-maker. When mounted on a series cameras with APS-C type sensors, the actual angle of view will be equal to the angle obtained at a focal length approx. 1.5 times longer than stated. Less light is transmitted by any lens at the image periphery. If the light falloff becomes excessive, reduce the aperture by 1 or 2 stops. 35mm full frame format, a large F1.8 maximum aperture, and sophisticated design make this lens ideal for a7 and a7R bodies. 9-blade circular aperture contributes to gorgeous bokeh. Optical SteadyShot image stabilization: Optical SteadyShot image stabilization provides a marked reduction in image blurcaused by camera shake, especially when shooting handheld at telephoto focal lengths or in dim indoor lighting. Dust and moisture resistant design: Critical areas of the lens exterior feature dust and moisture resistant seals that help to ensure professional reliability even in tough environmental conditions.